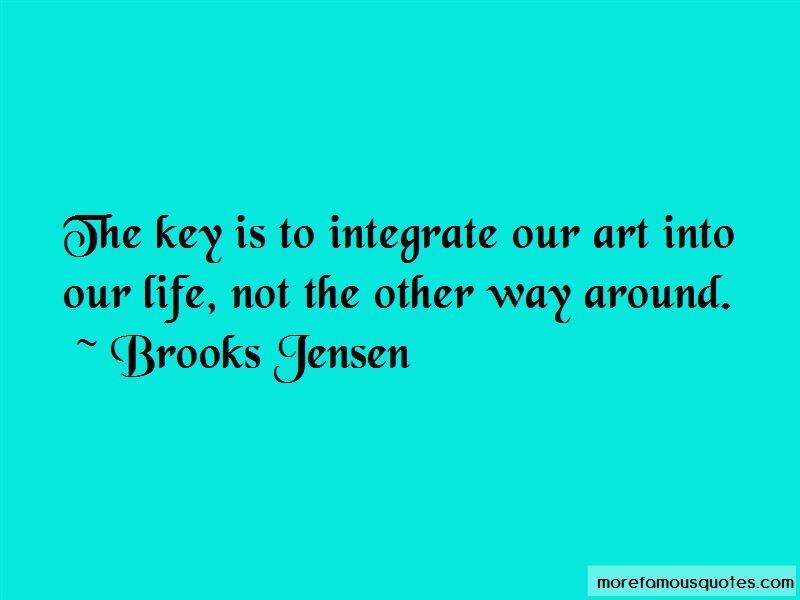 Enjoy the top 2 famous quotes, sayings and quotations by Brooks Jensen. 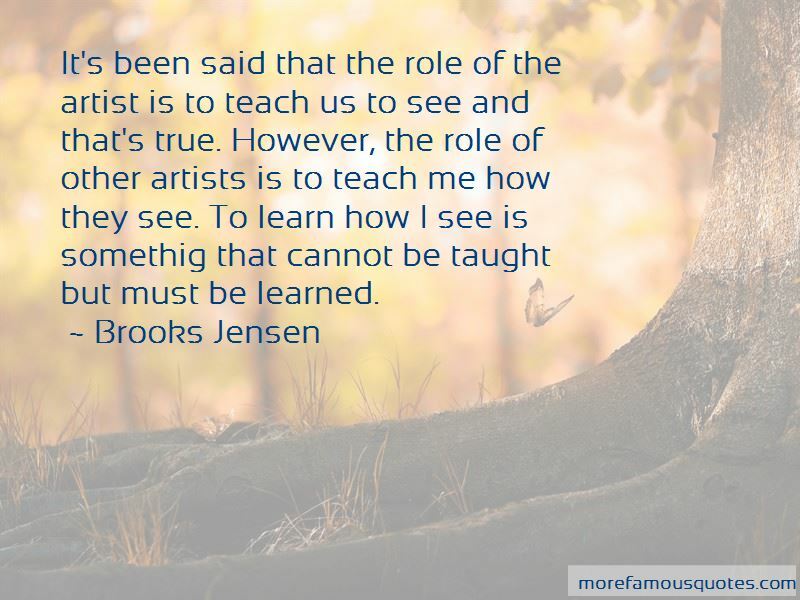 It's been said that the role of the artist is to teach us to see and that's true. However, the role of other artists is to teach me how they see. To learn how I see is somethig that cannot be taught but must be learned. Want to see more pictures of Brooks Jensen quotes? Click on image of Brooks Jensen quotes to view full size.